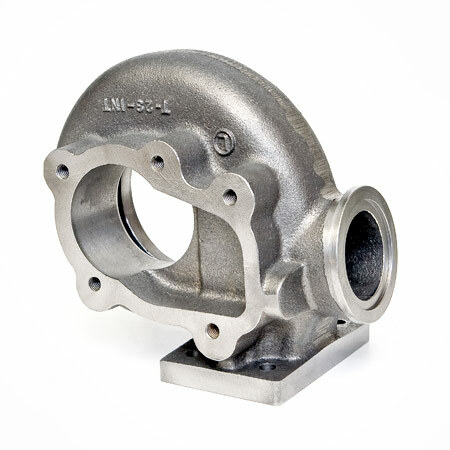 Special turbine housing, T25 Inlet, GT28 Style 5 bolt outlet, and cast 44mm flanged External wastegate port. Available for Garrett series GT28, GTX28, GTX29, GT30R-WG, GT30, GT35, GTX35 and T Series Stage 3 turbochargers. 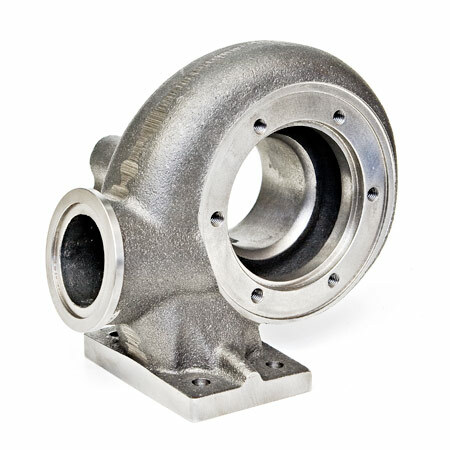 Turbine Housing offers FULL T3 flow! Based on GT30 geometry and the .72 A/R is between .63 and .82 A/R GT30R. Available in .72 A/R only.